The slogan "Hong Kong¡¦s hero, Edward Leung" was discovered graffitied around various spots in Hong Kong on Thursday. Thursday was the second day of the pro-independence activist¡¦s trial, as he faced rioting charges for his part in the Mong Kok uprising, also known as "Fishball Revolution" (³½³J­²©R), during Lunar New Year 2016. He has been in custody since pleading guilty to a charge of assaulting a police officer last month. 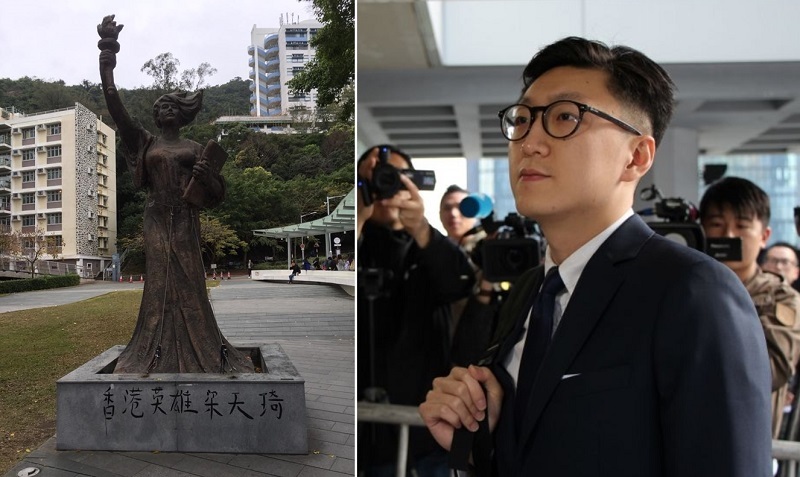 The Chinese University of Hong Kong¡¦s student union said on Facebook that the slogan had been graffitied onto the base of the Goddess of Democracy statue ¡V a symbol of the 1989 Tiananmen Massacre ¡V on campus. 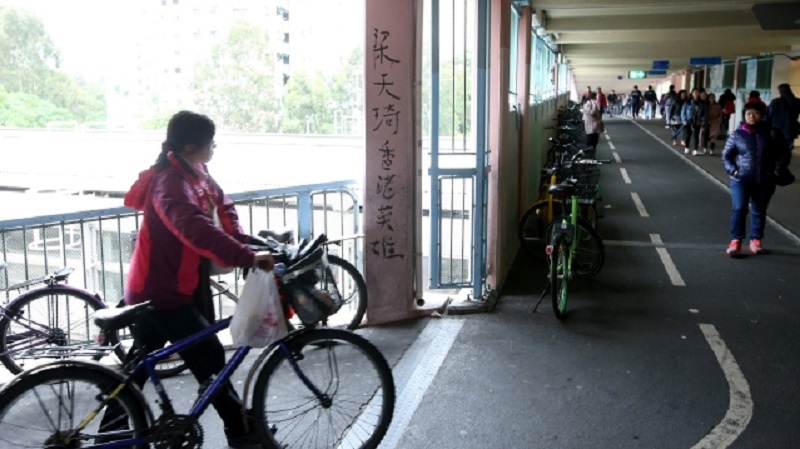 Local media also reported that the same graffiti was found at locations near Tai Po Market MTR station, and on a bridge outside Sheung Shui MTR station. Leung ¡V former spokeperson of the localist group Hong Kong Indigenous ¡V is being tried at the High Court alongside defendants Lee Nok-man, Lo Kin-man, Lam Ngo-hin and Lam Lun-hing. Another defendant Wong Ka-kui has admitted to rioting charges. Ray Wong and Alan Li ¡V two other former prominent members from Hong Kong Indigenous ¡V failed to appear in court in December and are being sought by police. Prosecution counsel completed two days of opening statements on Thursday afternoon after having shown a number of video clips of the incident to the court, and will begin summoning witnesses on Friday. Rioting carries a maximum sentence of ten years¡¦ imprisonment under the Public Order Ordinance.